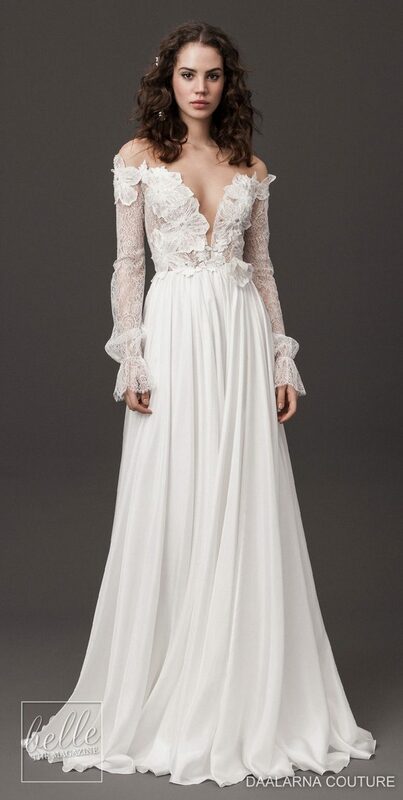 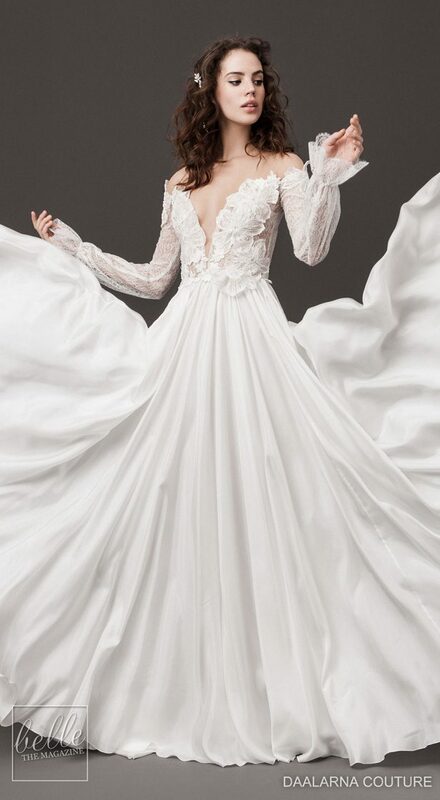 Moden Brides, gather round because I have a fabulous bridal designer to share with you today –Daalarna Couture – the creator of super-romantic wedding gowns that redefine chicness. 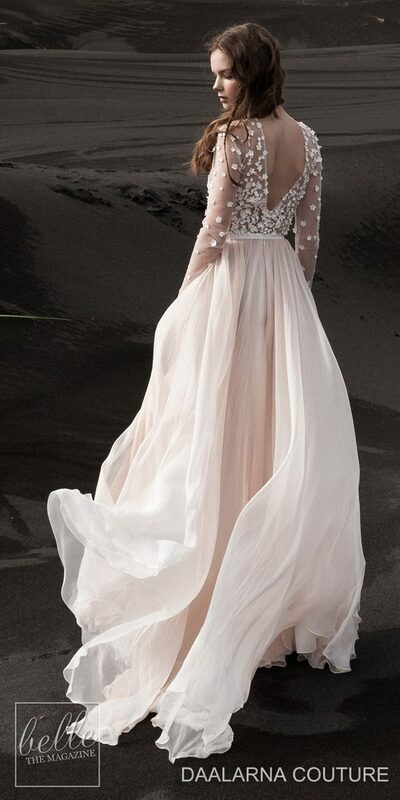 I’m talking couture, organic pieces with a fairy-tale flair that will wow every last one of your guests. 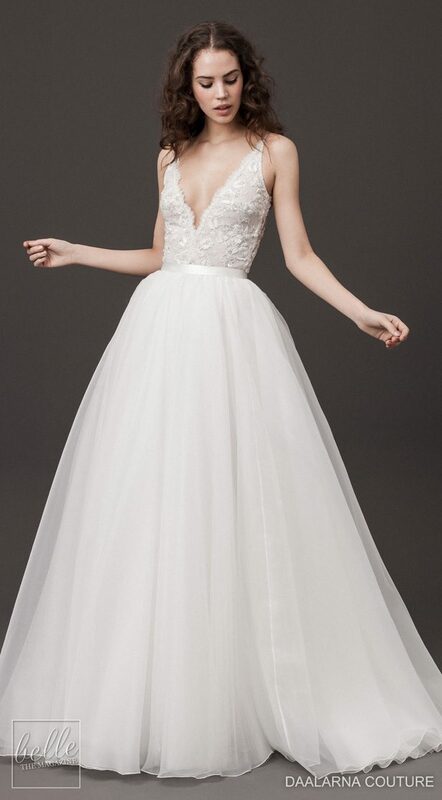 The 2020 collection is titled “Rebelle” and it’s an invitation for every bride to be herself on her wedding day. 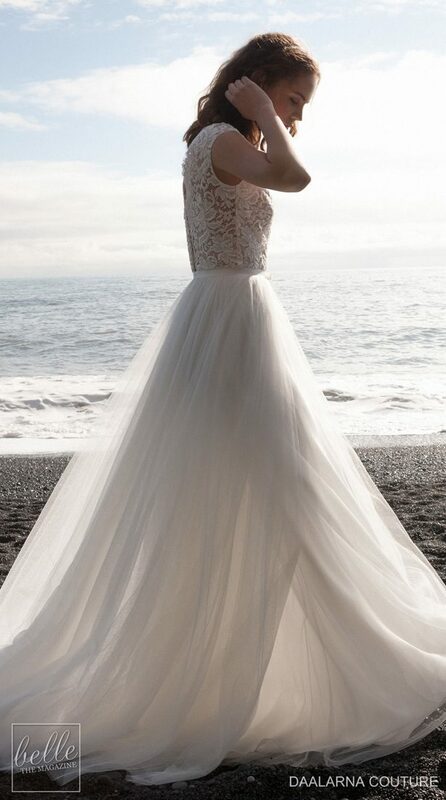 Inspired by nature, every gown has “romantic simplicity” written all over. 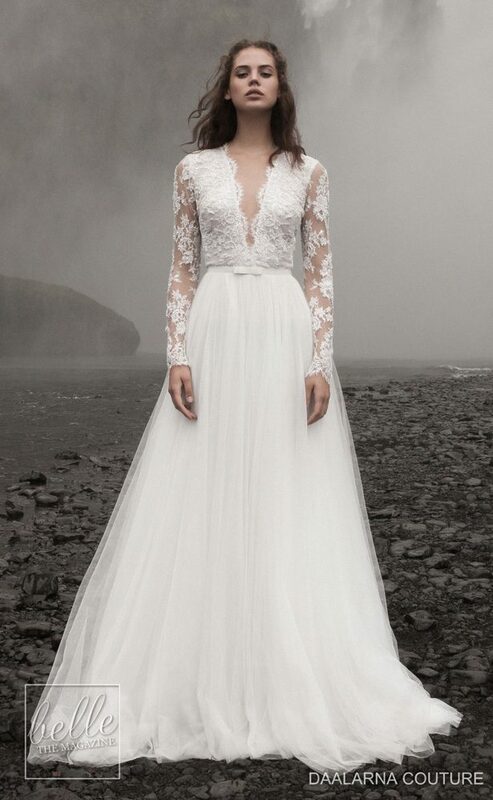 The campaign displays some stunning sceneries of Iceland, so get cozy and start swooning with me over all the gorgeous Daalarna Couture Wedding Dresses Spring 2020 over at the FULL GALLERY. 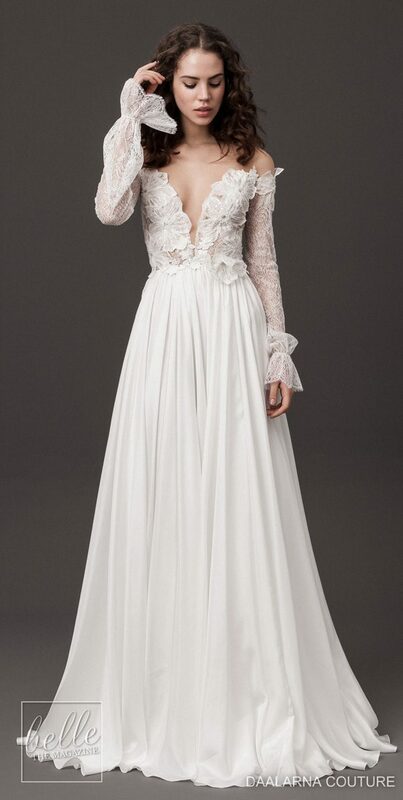 Please contact Daalarna Couture for pricing information.